One of the first things that bettors need to know is that there are currently no physical locations for legal New Hampshire sports betting. New Hampshire has strict gambling laws, and as such, there are no casinos available. In fact, the only kinds of gambling that NH residents can enjoy is the state lottery (which is also accessible over the Internet) and pari-mutuel horse racing betting. However, it seems that the state has a soft spot for sports betting, as New Hampshire legislators are on the path to breathing new life into legal New Hampshire sports betting. That means that the state could have legalized single-game betting available sometime within the next year or so. 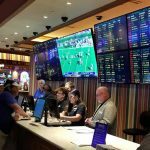 Given the recent push in several New England states to quickly get their own sports wagering industries off the ground, NH has a golden opportunity to keep its residents from going into those neighboring communities for legal sports betting, generating tax revenue that could otherwise be used at home in NH. With over 100,000 active New Hampshire sports betting, the additional money for the state coffers – and the local economy – would not be a trivial amount! 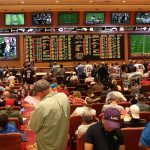 Is Land-Based Sports Betting Legal In New Hampshire? At the moment, there are no land-based sports betting locations available in New Hampshire. But it seems that the Granite State has plans on changing that. There is a bill being considered in Congress to legalize and regulate land-based sports betting. Although New Hampshire currently has strict laws against gambling in general, past legislation trends seem to have softened up and new progressive gambling laws are passing. We are confident that land-based sports betting will happen in the near future. Until the bills are made into law, locals can still enjoy legal New Hampshire sports betting by going to Bovada, 5Dimes, or other offshore sportsbooks. Is It Illegal To Bet On Sports Online In New Hampshire? The short answer is no, it is not illegal to bet on sports online in New Hampshire. There is no law in NH preventing bettors from going online and placing sports bets. Normally, laws made by the state that would prevent online gambling would not prosecute the bettors. 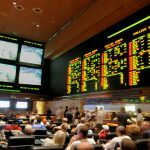 Those laws are there to go after online sportsbooks, so bettors can go online and place bets on sports without worrying about breaking the law. The offshore websites we recommend are based outside of the United States, far away from New Hampshire jurisdiction. If bettors access those sites, bettors can rest assured that they are doing so legally. Is There Anywhere In New Hampshire That I Can I Bet On Sports? Until the bill being considered by New Hampshire’s Congress (or something similar) is passed into law, there are no physical locations that you can go to in order to bet on sports. Once such legislation is passed, we are confident that sportsbooks will be opened around the state. Until then, the only place you can place bets on sports is the internet. Thanks to mobile devices, you can access these websites from any location in New Hampshire. You can take part in legal New Hampshire sports betting from home or any location in New Hampshire that makes you happy. For now, New Hampshire does not have many locations for bettors to go to. There is a horse racing track in New Hampshire, but it does not have many games available and no sportsbooks, either. 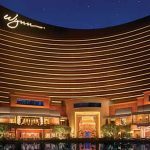 But since there is a bill being considered by the state’s legislature, we can give you a good idea where sportsbooks might open up in the future. If sports bettors are itching to travel, they can travel to either New Jersey or Rhode Island. New York is also working on opening sportsbooks as well. Although it is much easier for an online sportsbook to get in the sports betting action, we can provide you with a list of cities that you could travel to. New Hampshire is rather strict when it comes to gambling in general. No casinos are available which eliminates most types of gambling. But there is an in-state lottery that you can participate in. Although New Hampshire is strict on gambling, it seems that the state will change its tune thanks to a new bill being introduced in the state Congress. The bill they have drafted up is bill NH H480. This bill aims to legalize and regulate sports betting in New Hampshire. If this bill passes, this will allow the state to open up physical sportsbooks in New Hampshire. Once this happens, bettors can go to these locations and enjoy a new form of legal New Hampshire sports betting. We are hopeful that this bill will pass and pave the way for sportsbooks to be opened in the Granite State. Although there are no physical sportsbooks opened in New Hampshire, that doesn’t mean that they don’t have powerful teams to root for. Being part of the New England region, they have a powerhouse NFL team that is usually a safe bet, and New Hampshire has good colligate teams to cheer for in the NCAA. Of course, bettors from New Hampshire can bet and cheer for any team they want. Online offshore sportsbooks like SportsBetting offer wagering chances on every team in a large number of sports for bettors to choose from. Although there is a horse track in New Hampshire, it does not offer live races. The track simulcasts horse tracks for bettors to bet on. If you are going to the track to just watch a live stream of the races, you might as well stay home and go to 5Dimes or another offshore website that offers racebooks. There, you can enjoy the races from home and possibly earn valuable rebates just for playing. This is a much better deal than going to a race track and watching a live stream. One of the reasons we are confident that New Hampshire’s Congress is going to pass the bill to legalize sports betting is because of its stance on daily fantasy sports (DFS). The state passed bill NH H580 which sought to regulate and legalize DFS in New Hampshire. Thanks to this, locals in New Hampshire can enjoy going to DraftKings and FanDuel within state borders without worry. DraftKings and FanDuel offer a large array of contests for locals to take part in, such as basketball, baseball, hockey, and football. Players can win large amounts of money in these contests, or they can have fun and enjoy private contests with their friends and family, paid or for free. Can I Bet Real Money On Sports In New Hampshire? Thanks to offshore websites, you can absolutely bet real money on sports in New Hampshire. Thanks to our recommended websites, it’s easier than ever to bet real money on sports. All you have to do is go online, create an account, enter your credit or debit card information, place your bet, and then win some cash. You are also able to use Bitcoin to fund your bets! Is Online Sports Betting Safe In New Hampshire? Online sports betting is the safest way for bettors to enjoy legal New Hampshire sports betting. 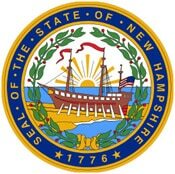 It’s important to remember that New Hampshire does not have any laws against online gambling. In fact, sports betting laws in the state are reserved to prosecute online sportsbooks rather than bettors themselves. If you still want to be cautious about it, simply remember to use Bitcoin. Will Sports Betting In New Hampshire Ever Be Legal? We believe that legal New Hampshire sports betting is coming soon. Although you can still go online and place bets there, there are no sportsbooks available in the Granite State available. That can end up changing with bill NH H 580. If this bill passes, sports betting will become fully legal and regulated, allowing for sportsbooks to open in New Hampshire. Will I Get Arrested For Sports Betting In New Hampshire? The short and simple answer is no, you will not get arrested for sports betting in New Hampshire. At the very least, it’s extremely unlikely. Even in states with strict gambling laws do not go after bettors, they usually go after those who are operating sportsbooks illegally. Since it’s not against the law to go on offshore websites and place sports bets, you will not get arrested. Moreover, if the bill being considered by state Congress passes, it will fully legalize sports betting which means you can’t get arrested. What Is the Sports Betting Age In New Hampshire? The minimum age you have to be to gamble in New Hampshire is 21. Online sportsbooks begin accepting bets from those who are 18, but they comply with state laws. Meaning if you are in New Hampshire, you have to wait until you are 21 to place sports bets on sites like Bovada. If you try to place sports bets before then, you can lose your winnings and get permanently banned from the website. It’s best for bettors to wait until they are 21 before accessing these websites. Are There Mobile Sports Betting Apps Available In New Hampshire? Although there are no state-licensed sports betting apps available, there are apps brought to you by offshore sportsbooks. If you go to a site like 5Dimes, they will provide you with an app that allows you to use their website on your mobile device. 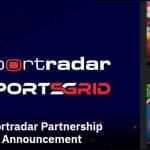 The mobile version of these websites function just like the browser version, so you will get the same great sports betting experience on your phone. Where Is The Best Place To Bet On Sports In New Hampshire? There are currently no physical sportsbooks available in New Hampshire. But as previously stated, you can easily access your favorite offshore online websites from your mobile device to place sports bets. Thanks to that, the best place to place sports is wherever you want it to be. It could be in your home or in a park or literally anywhere else. The mobile version of these online sportsbooks makes the entire state of New Hampshire the best place to bet on sports. Should I Use A Local Bookie In New Hampshire? Using a local bookie is the absolute worst way to place sports bets. Local bookies are not a legal or reputable method to place sports bets. You don’t know if the bookie is going to give you honest odds, and if you get caught using a bookie, you can get into serious financial and legal trouble. No, you shouldn’t use a local bookie instead of betting on sports betting. Do Any Casinos In New Hampshire Have Sports Betting? As it stands right now, there are no casinos in New Hampshire. Because of that, there obviously couldn’t be any sportsbooks provided by casinos in New Hampshire. But that could change soon. If this new bill passes and it legalizes sports betting, that could pave the way for casinos being opening up and sportsbooks being opened in them. Is It Legal To Bet On Sports With My Friends In New Hampshire? There are no laws that mention social gambling in New Hampshire. Thanks to that, that means that sports betting with your friends is not illegal. So long as no one is acting as sportsbook and no one is raking in profits from hosting, betting on sports with your friends is another way you can enjoy legal New Hampshire sports betting. Friends can join up together and go to SportsBetting or another one of their favorite offshore sites and place bets that way.